Carbs are delicious. Especially when they’re in the form of an imperfectly-formed, warm loaf of bread, inside of a crinkly and obnoxious paper bag fresh from the bakery. When it’s crispy and chewy on the outside, and moist and fluffy on the inside. When the dough has been aged just the right amount, giving it that soft bread-y aroma. 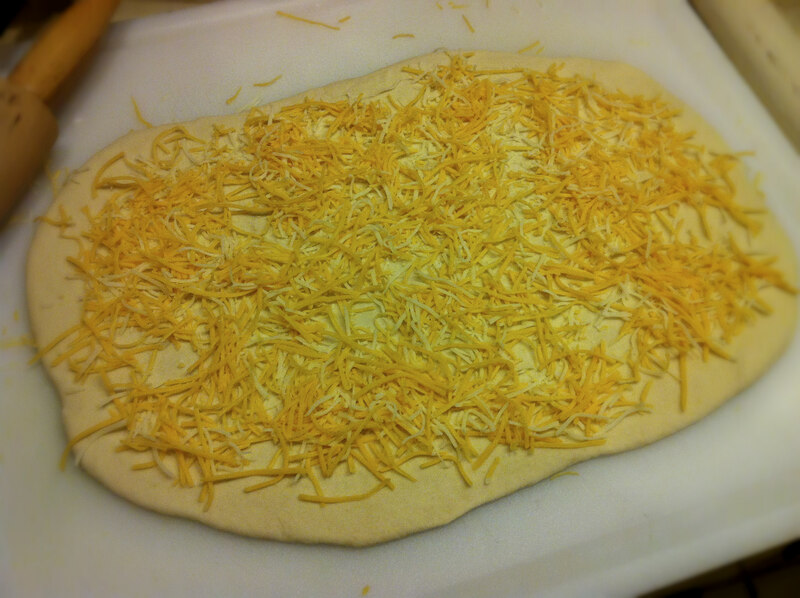 Or, you know, when you roll together some dough in your home kitchen and throw in handfuls of cheese. Also: rosemary. Because I received a cute little jar of dried organic rosemary from my friend for Christmas, and I like to wave around the fact that I have better friends than you do. If you have a loaf pan (unlike me), I HIGHLY suggest using it! 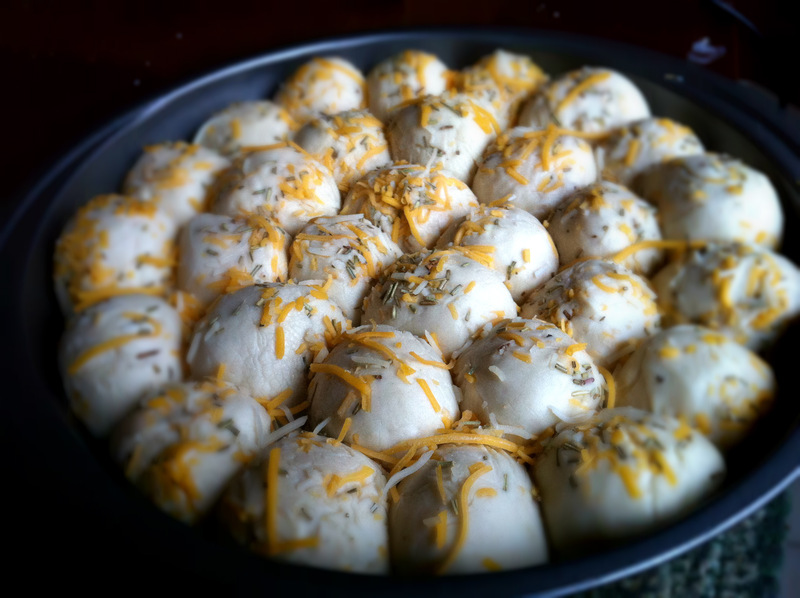 This would be amazing in the form of sliced and toasted sandwich bread, because it is a little confusing when you have cheese balls that aren’t, you know, actual gooey cheese-filled balls of golden goodness. But while this is probably not going to satisfy your late-night cravings for indulgence, all is not lost! 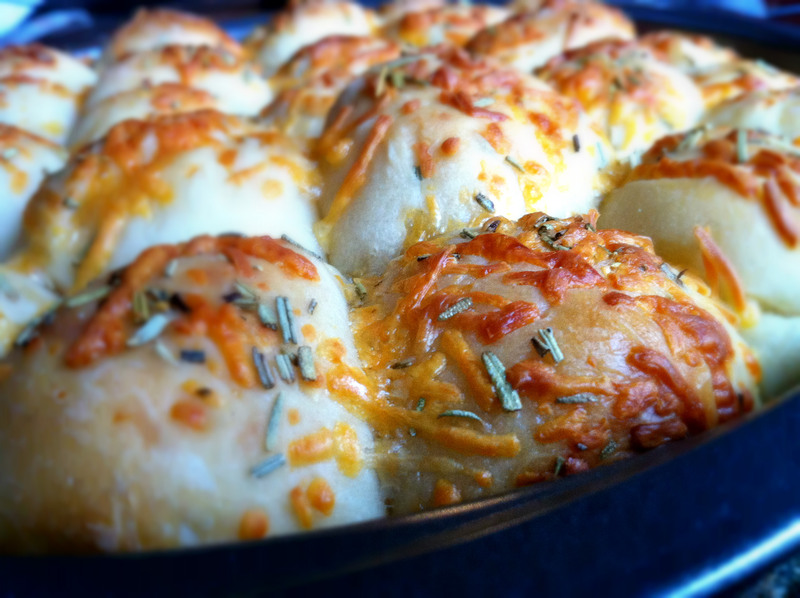 If you’re in the mood for extra cheesy bread, go ahead and just add more cheese to the bread. What, cooking is logical sometimes. 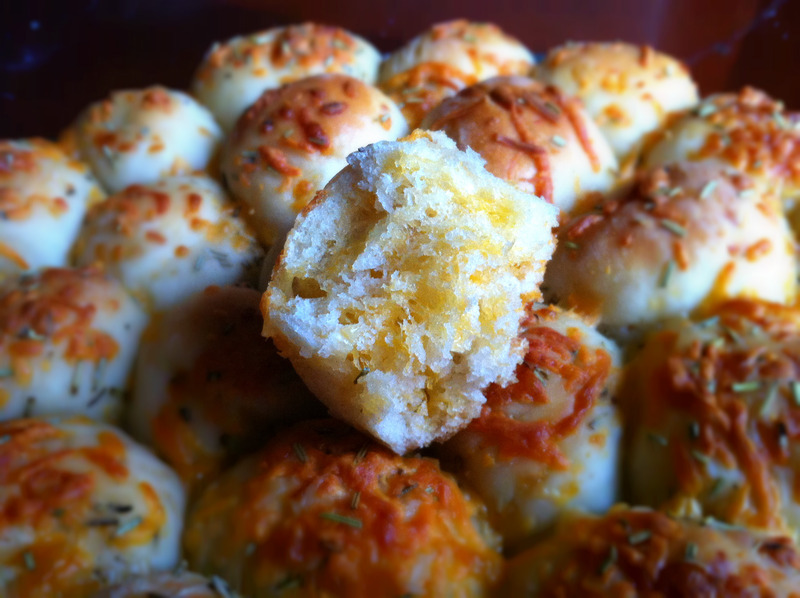 Mull that over as I sit here mourning my lack of a loaf pan by eating my emotions (aka these cheese bread balls). 1. Mix together water and sugar. 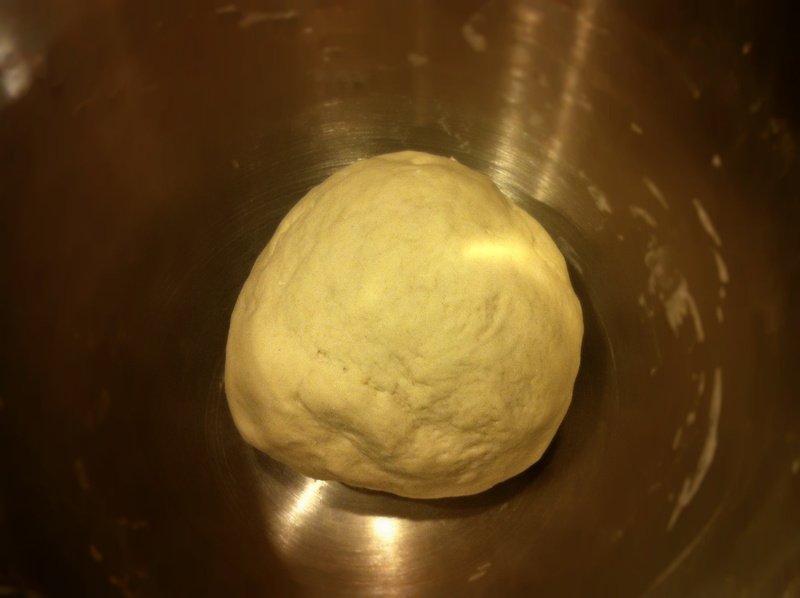 Sprinkle in yeast and let sit for 10 minutes. Then, stir in the salt, vegetable oil, and flour. 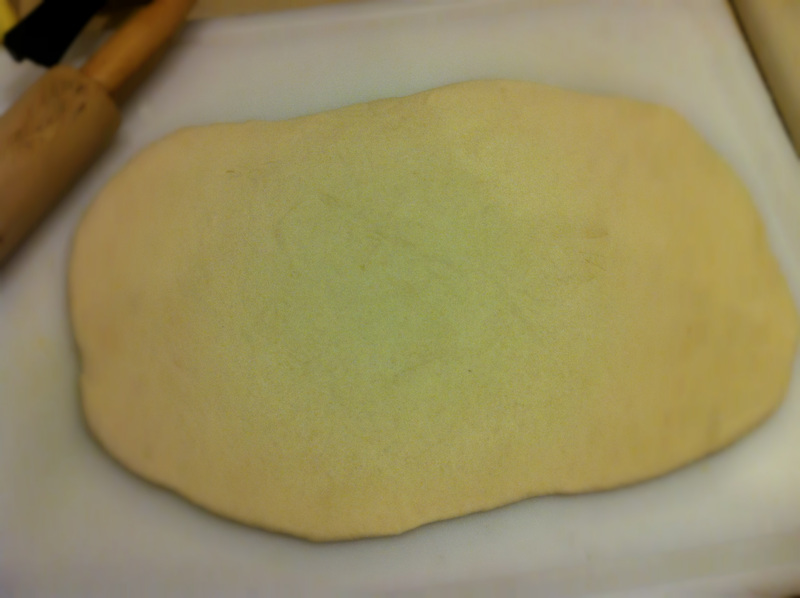 Form a nice dough. 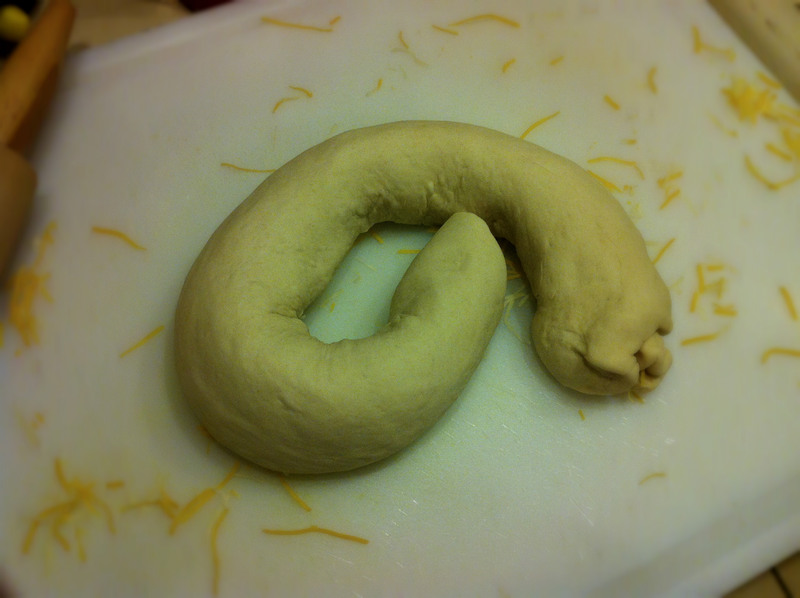 If you’re using a loaf pan like you should, give this log a few twists and turns and kneads to incorporate the cheese, shape it into a loaf, and place in loaf pan. 3. Now let it sit outside for 1-2 hours. Or if you’re making this the night before like I did, just put it in the fridge; in the morning, let it sit in a warm place for about 30 minutes. Either way, it should be nice and puffy. 4. Bake at 375F for 25 minutes. Can you smell that? Such a delicious blend of cheese and rosemary. Oooh yum! We’ve been obsessed with rosemary in bread lately too, we made rosemary and walnut and then rosemary and olive… delicious! I used to be such a sucker for any kind of bread! This looks so delicious – it’d never last long in my house! Thank you! Bread is a delicious delicious thing. Yum! I’ll definitely have to make these. Good Morning Kitchen Cici! As you know, I am Celiac, but your recipes always look so good, that they present a challenge to me to make it gluten free. Flavor and texture is the name of the game in gluten-free cooking and baking, and your description sounds so good. I do still remember he texture from long ago. Your website his so happy looking and inviting! Thanks so much for sharing ! Ciao for now my cyber friend! Lovely comments like this make my day! You could always try this recipe with gluten free bread mix, I suppose, and that would be quite an adventure… although I do find that gluten free bread doesn’t quite have the same texture. But thank you thank you for reading, and ciao! very nice. 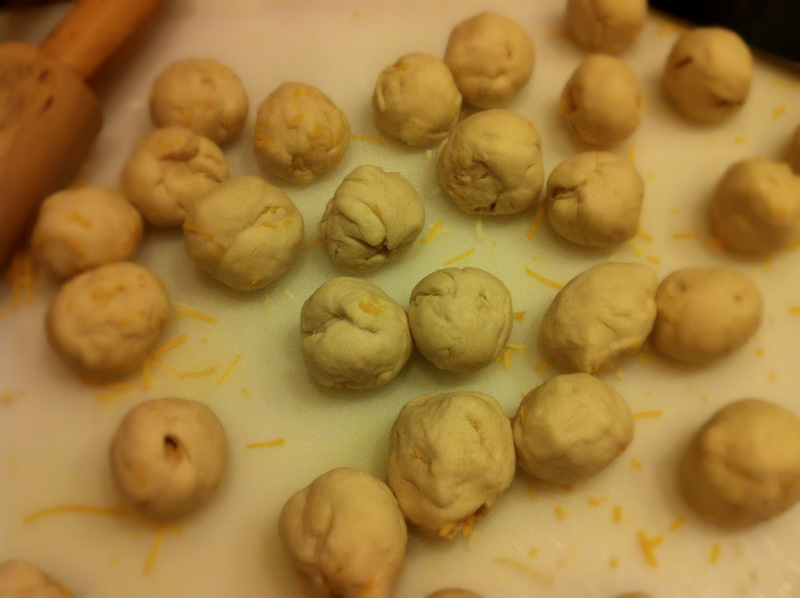 i never considered the roll and cut method of including cheese in my bread rolls… good idea. going to have to give that a try. i make black pepper, basil, and garlic rolls that look almost exactly like yours. 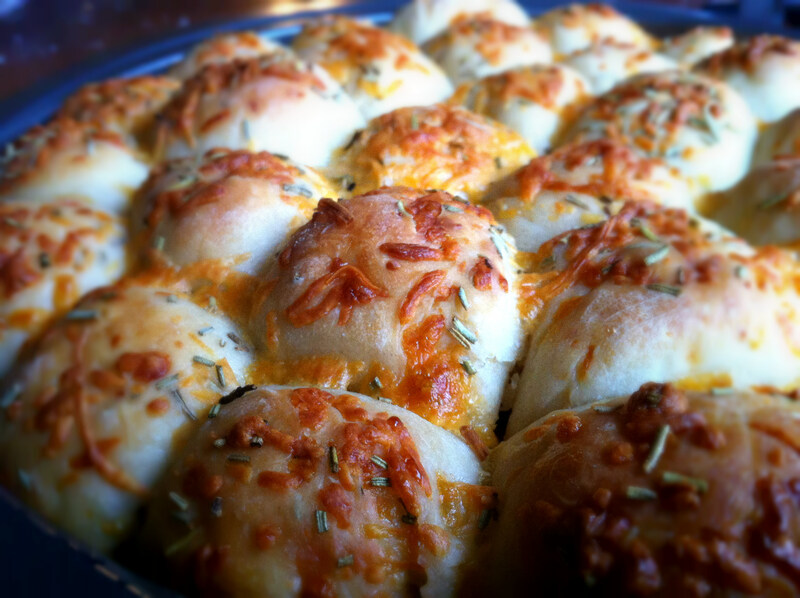 nothing quite like extra soft tear-away rolls out of the oven, is there? they are good for the belly, sure, but more importantly they are good for the soul. Oh my black pepper, basil, and garlic sound like a delightful combination! Rolls are amazing, indeed! Girl, you read my mind: that’s exactly what I was looking for! Thanks! You’re welcome, glad I could help! Heehee. I’m never patient enough for bread, the time I’ve attempted never quite turn out the way I want. This sounds so delicious though! First of all, I have to say your Blog is so bright and full of life!! Thumbs up for that 😉 Second of all, I love bread and this recipe looks quite uncomplicated and fun to make. I am definitely going to give this recipe a try!! Just one question..I have attempted to make bread before, and I don’t know why the smell of yeast just overpowers all the ingredients. I used dry yeast. Hmm, does it still overpower the smell of bread after baking? That’s unusual… too much yeast perhaps? I am so making this. 🙂 You’re right: carbs are awesome! Yay! Let me know how it turns out for you!